The advisor will ask you questions as well to get to know you and to seek out knowledge about how the clinic can best help you. Step 2 If after the first consultation, you decide that you want to move forward with HRT, your clinical advisor will set you up with an appointment at the nearest lab to your city to get a blood test taken. This test is extremely important in the process of how to get a HGH prescription because you can only get this prescription if your blood test shows that you have a growth hormone deficiency. Step 3 You will be required to get a physical examination completed by your own doctor. You will fill out an informed consent form at your doctor’s office so they can legally send your results to the clinic for an analysis. You will also be required to fill out an online medical history form that should be right on the clinic’s website. This information will be sent to the clinic through a secured connection online once you have completed it. Step 4 Now you have a short waiting period. All of your test results and medical information will be reviewed and analyzed by the doctors at the clinic. They will determine if you have a growth hormone deficiency and if you are otherwise healthy enough for HRT. Step 5 The doctor will diagnose you with a growth hormone deficiency in order for you to get HGH prescription online. The US government is very strict in the way they monitor the distribution, sale and usage of human growth hormone, bio-identical medications. They will often assess strict fines or even jail time for those who misuse or abuse this particular kind of medication. If your health is good, but symptoms occur from a growth hormone deficiency, it should be easy to get a prescription HGH if you follow the directions written in the above guide. Can You Buy HGH Without A Prescription? It is never legal or safe to buy HGH without prescription instructions. A prescription from a licensed doctor in endocrinology (or a closely related medical field) is necessary in order for the legal use of HGH, bio-identical injections. Often times, people wish to skip the process to get HGH injections the correct way, or they want to avoid the cost of real, authentic, medically supervised HGH therapy. This is when they will buy their medication without taking the correct steps. They may purchase their injections from overseas, from unqualified sellers here in the US or from the online black market. This is highly dangerous since human growth hormone medication needs to be taken at the correct dosage with medical supervision. It also must be guaranteed to be real, authentic medication. 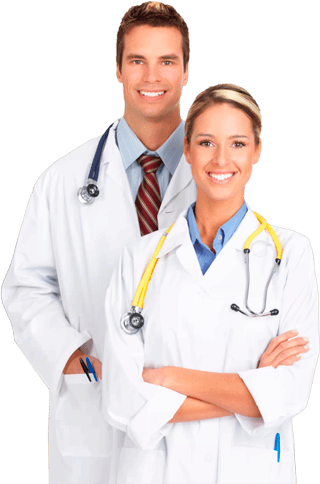 HRT doctors take great care and time in analyzing patient’s medical information, diagnosing correctly and writing accurate HGH prescriptions and treatment plans. This is to give the patient the exact amount of medication they will need to raise and balance their HGH levels safely and gently. Getting HGH without a prescription is always taking a change with your health and any expert would say that it is not worth that risk. These are vital questions to be answered in order to get the answer as to HGH prescription cost. Cost will vary from patient to patient. The good news is that most reputable clinics do not charge a cost for every part of an HRT program. How to get HGH prescribed by a doctor is most likely simpler than one thought. The steps are easy, but necessary for a safe, effective and legal HRT process. If a prospective patient has questions, clinical advisors should be readily available to answer them. It should the clinic’s number goal to make sure that all who inquire about HRT and how to get a HGH prescription get all the answers they need to feel completely comfortable to make an informed decision if this kind of treatment is for them.